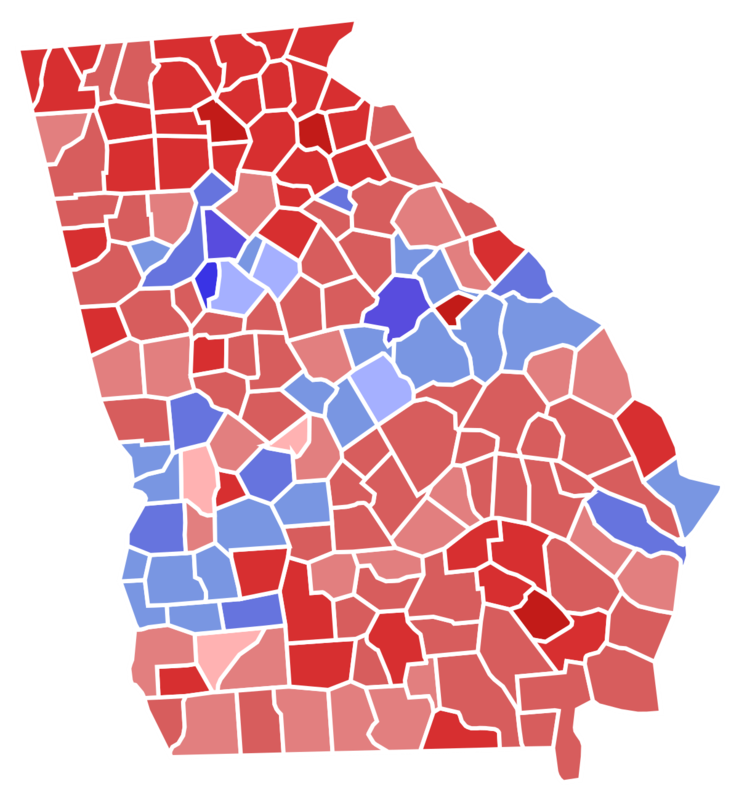 For the 2018 Midterm Elections, voter turnout was the highest that Georgia has seen in a long time. 57% of registered voters in the state of Georgia cast their vote in the election to decide the new Governor among other things. For the US House, of the 14 districts, only district 7 still remains undecided while they are still carefully counting the votes. Districts Two, Four, Five, Six and Thirteen are in the hands of the Democrats. While One, Three, Eight, Nine, Ten, Eleven and Twelve are decisively Republican. Seven is leaning towards Republican, however the votes have not breached the required percentage yet. With the State Senate, all 56 seats were up for reelection, 35 are Republican, and 21 are Democratic. In the State House, some of the elections are still unconfirmed as well, however the majority is confirmed to be Republican. The Governor’s Race is still too close to call either way. Currently, Brian Kemp is barely beating Stacey Abrams. The third party Libertarian, Ted Metz, is not in the running with 0.95% of the vote. All around, this year’s elections were momentus. The high voter turnout across the nation, and the change of control from Democrats to Republicans in the US House, has created quite the stir across the nation.